Stuck with large, annoying pores? 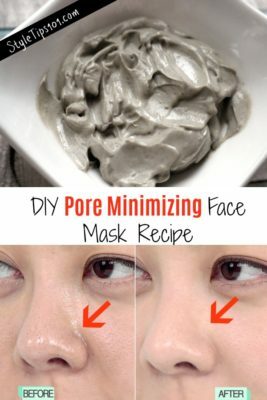 This DIY pore minimizing face mask is made with clay to pull out dirt, impurities, and toxins, and to shrink pores like you’ve never seen before! Clay also prevents breakouts, gets rid of dead skin cells, and removes all impurities, therefore making it one of THE most popular and well received ingredient for face masks. But one of the BEST things that clay is good at, is minimizing pores! 1 tbsp rosewater. See how to make your own rosewater. 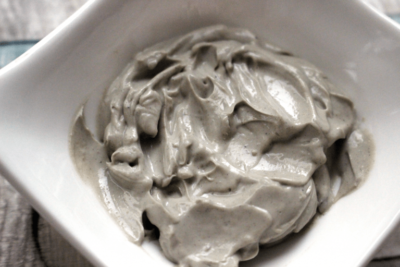 In a plastic or wooden bowl, add the bentonite clay and stir in rosewater. When stirring clay, always make sure to use plastic or wood utensils, as metal can throw the clay off since it reacts with it! Apply the paste all over your face and neck and leave on for 15 minutes or just until the mask starts to harden. Remove mask with a soft, wet washcloth, and make sure to be gentle! This mask may leave your skin red afterwards, but that’s completely normal and will go away within 15 minutes! For those with acne prone, oily skin, use this mask 2-3 times a week for best results. For those with dry or sensitive skin, use only once a week.